This entry was posted on November 19, 2013 by admin. A good friend of Nick Polizzi told him he had Parkinson's disease. He started trying to find out if there are any natural means to cure Parkinson's, because you can't do it with drugs. What he found is that if you trace the origins of western pharmaceuticals, over 25% of their active ingredients come from the Amazon rainforest. And then he began to wonder what else is in the Amazon forest? There are over 44,000 species of plants and to his surprise he found out that only 1% of those 44,000 plants had been studied by scientists for their medicinal value. He reached out to a well known ethno-botanist, Mark Plotkin, who said "If we look at the Amazon rain forest as an encyclopedia of medicinal plants then the indigenous medicine men are certainly as index in table of contents." On one of their preliminary research trips Nick met a man named Roman. When Roman was 12 years old he was diagnosed with Crohn's disease. For ten years he tried every available conventional method to get rid of it, but nothing worked. At age 22 he said goodbye to his family and left for the Amazon jungle in search of a shaman to work with. Within 5 months all symptoms of his Crohn's disease were gone. Roman was given the option to stay and learn the ancient traditions of Amazonian shamanism. 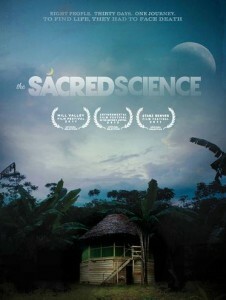 He had spent the last 10 years in the jungle working with indigenous medicine men and improving his craft. What if Nick told you that your grandfather with pancreatic cancer, your daughter with clinical depression, or your wife with severe stomach adhesions have one final option that had not yet explored... but there's one catch - you need to leave everything behind. You'll be spending 30 days in seclusion, in the middle of nowhere, in a corner of the world that is home to a vanishing group of indigenous healers who reputed to have knowledge of undiscovered herbs and plants that are native only to the uncharted regions of the Amazon rainforest. In October of 2010, eight people from around the world chose this option. Five would come back with real results, two would come back disappointed, and one wouldn't come back at all. This is their story.